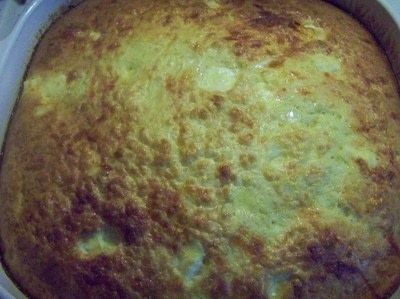 This is a good recipe for a breakfast carry-in or if you are feeding a lot of people and want to serve something a little bit different, but still please the mainstream crowd. I ended up cutting the ingredients down from the original recipe by 1/4 and it still made 12 large pieces. 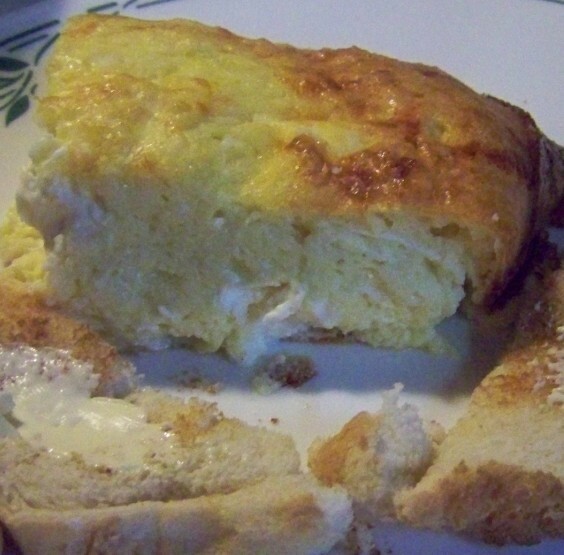 It is not as cheesy as I thought it would be for containing 3 types of cheese, it was more eggy with a surprize creamy salty taste in some bites due to the cubes of cream cheese in the recipe. Preheat oven to 350F. Lightly grease a 9×13-inch baking/casserole dish. 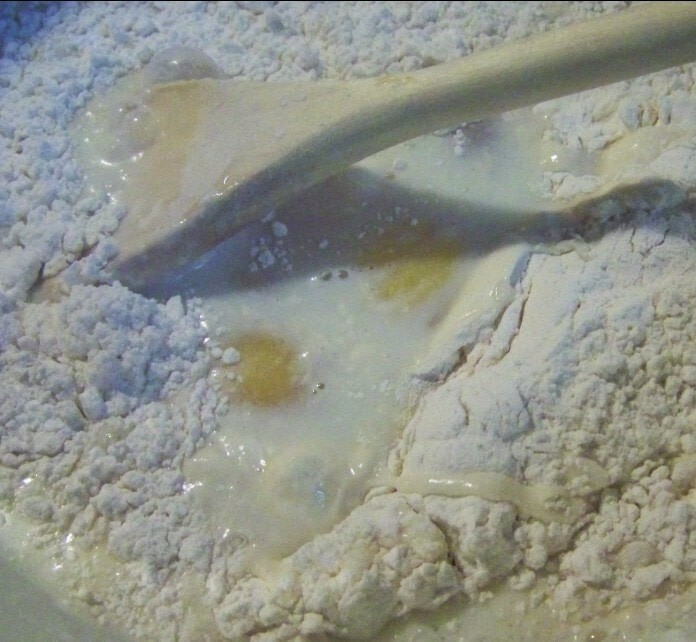 In a large bowl, or the bowl of a stand mixer, beat together eggs, flour, baking powder, salt and milk. Stir in cottage cheese, cream cheese and shredded Monterey jack cheese. 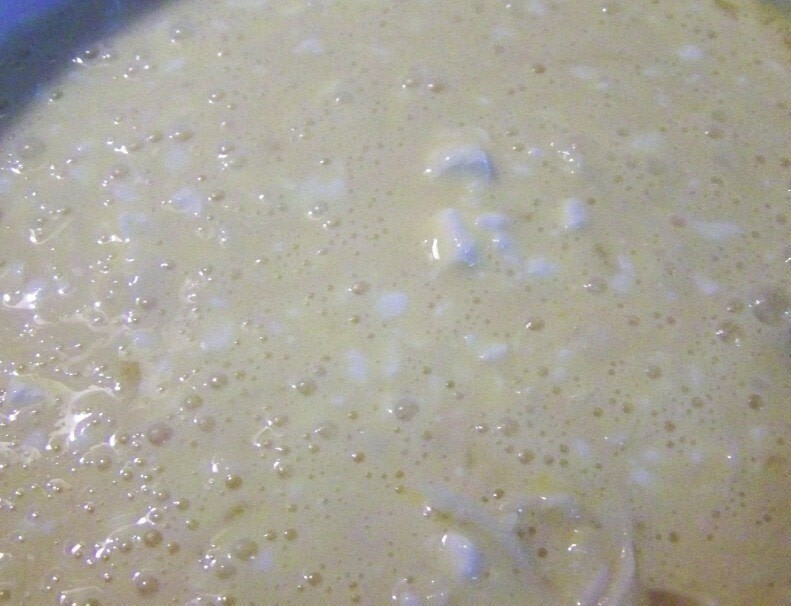 Pour into prepared baking dish.Bake for about 45 minutes, until eggs are set and casserole is not “wet” in the middle.Dish will deflate slightly as it cools. Cool for at least 10 minutes before serving to make slicing easier.Dish can be served hot or cold.